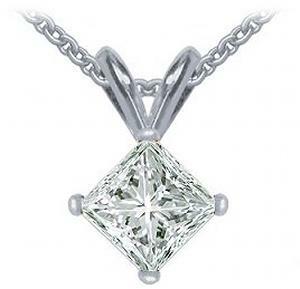 Home » Pendants » Diamond Pendants » 1.00 ctw Princess cut Diamond Solitaire Pendant. 1.00 ctw Princess cut Diamond Solitaire Pendant. This 14K white gold solitaire pendant has one princess cut diamond in a prong setting. 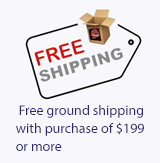 The box chain is 18.0 inches in length and has a spring-ring clasp. 1 ctw Princess cut Diamond Solitaire Pendant.